With celebrity competitions such as Dancing with the Stars driving popular appreciation for ballroom dancing to new levels, State Street Ballet (SSB) takes a deeper, more historically informed approach in Ballroom, which the company will present at the Lobero Theatre this weekend, Saturday, April 13-Sunday, April 14. But don’t think for a minute that this means they lose any of the sizzle. On the contrary, the experience these dancers have gained through performing in some of State Street Ballet’s other recent evening-length productions such as Chaplin and An American Tango has given them an edge that no pro athlete or reality star can touch. This company sees and feels the spirit of ballroom through the encompassing high-resolution lens of ballet. Three of the evenings six dances are by State Street’s co-artistic director, William Soleau, and three are by other choreographers, all of whom will be familiar to fans of the company: Kassandra Taylor Newberry, Robert Sund, and Laurie Eisenhower. Soleau’s duo setting of “Misty” as sung by Ella Fitzgerald will make a splendid romantic story for Anna Carnes to tell in the arms of her partner Noam Tsivkin. That piece is a world premiere, as is “Stand by Me,” another duet, this one by Newberry and set to the song as done by Otis Redding. Ahna Lipchik and Nickolas Topete will bring hip-hop moves to this classic soul celebration of the power of love. 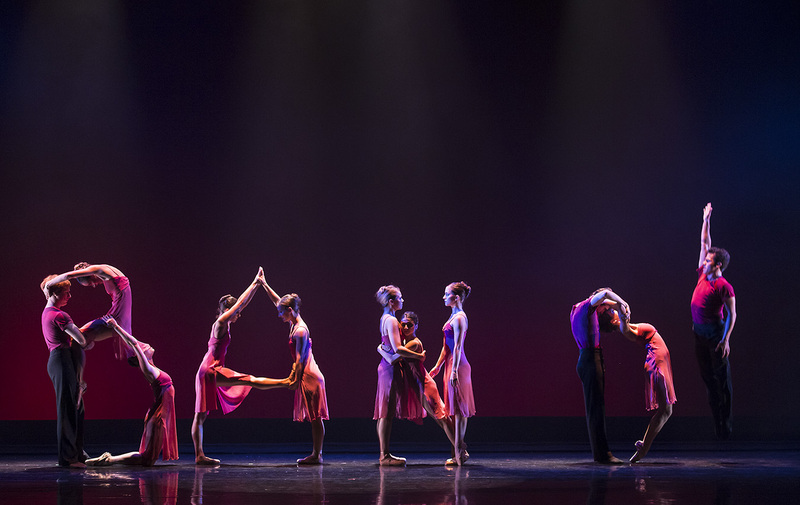 Soleau’s “Five by Gershwin” has been a signature piece for the company since it was created in 2002. Three pairs of dancers have almost 20 minutes to explore the many colors and moods present in the work of America’s greatest songwriter. For Soleau, it’s a chance to show his profound respect for the quality of these compositions; as he put it to me, “It’s all about the songs.” Nicole Thompson’s costumes and Sammy Jelinek’s lighting and scenic designs are sure to make this one pop visually. Likewise with Sund’s “BAND,” with costumes by Barbara Drake and Barbara Whalen. This jazz-oriented ensemble piece, which will cap the evening’s first half, is set to syncopated music by Duke Ellington, the Andrews Sisters, and Bing Crosby. More than a dozen performers will appear in a nonstop sequence that includes a wide range of dance techniques. Perhaps the most anticipated piece of the evening is a recent work by Laurie Eisenhower, founding artistic director of the renowned Eisenhower Dance Detroit. The septet is called “Bubbles” in honor of Lawrence Welk and his orchestra, the musical inspiration for the work. According to SSB’s Leila Drake Fossek, it’s “the kind of dance that makes it impossible to stop smiling,” as it is loaded with humor and joy. Welk, best known for his wholesome (yet somehow also champagne-saturated) Saturday-evening national television broadcasts, first rose to fame in the ballrooms of Los Angeles, where he and his band drew thousands of dancers nightly. The evening’s finale, “Nuevo Tango,” stands as one of Soleau’s most ambitious and passionate compositions. Set to the exquisite music of tango master Astor Piazzolla, this broad canvas extends ample room for the featured duet of Deise Mendonça and Francois Llorente along with eight ensemble dancers to ravish us with nearly half an hour’s worth of romance, Argentine-style. In the context of the Lobero, Ballroom will be an intimate experience guaranteed to renew your excitement about what unites the social and the spectacular aspects of couples’ dance. State Street Ballet presents Ballroom on Saturday, April 13, at 7:30 p.m. and Sunday, April 14, at 2 p.m. at the Lobero Theatre. Call 963-0761 or see lobero.org.